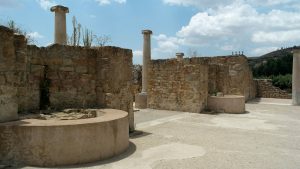 A brief insight into Villa Romana del Casale – The villa is one of the most luxurious of its kind and was the centre of the large estate upon which the rural economy of the Western Empire was based. 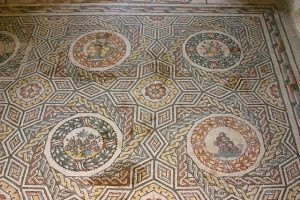 It is especially noteworthy for the richness and quality of the mosaics which decorate almost every room; they are the finest mosaics anywhere in the Roman world. The site was abandoned when a landslide covered the villa in the 12th Century and he existence of the villa was almost entirely forgotten while the area was used for cultivation. Pieces of mosaics and some columns were found early in the 19th Century, and some excavations were carried out later in that Century, but the first serious excavations were performed by Paolo Orsi in 1929, and later by Giuseppe Cultrera in 1935-39. The latest major excavations were in the period 1950-60 by Gino Vinicio Gentile after which the current cover was build. A few very localised excavations have been performed in the 1970s by Andrea Carandini. 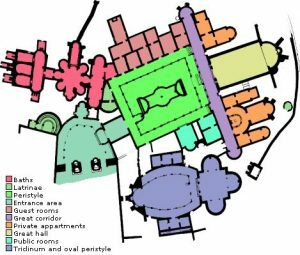 The villa has served several purposes over the years, containing some rooms that were identifiably residential, some with representative purposes, and a number of rooms whose intended use cannot be discerned today. As such the villa would probably have been the permanent or semi-permanent residence of the owner; it would have been where the owner, in his role as patron, would receive his local clients as the administrative centre of the estate.Currently only the manorial parts of the complex have been excavated. The ancillary structures, housing for the slaves, workshops, stables etc, have not yet been located. The mosaics are the prime reason for the fame of the Villa Romana del Casale and are most likely made by African artists in the early 4th century CE. 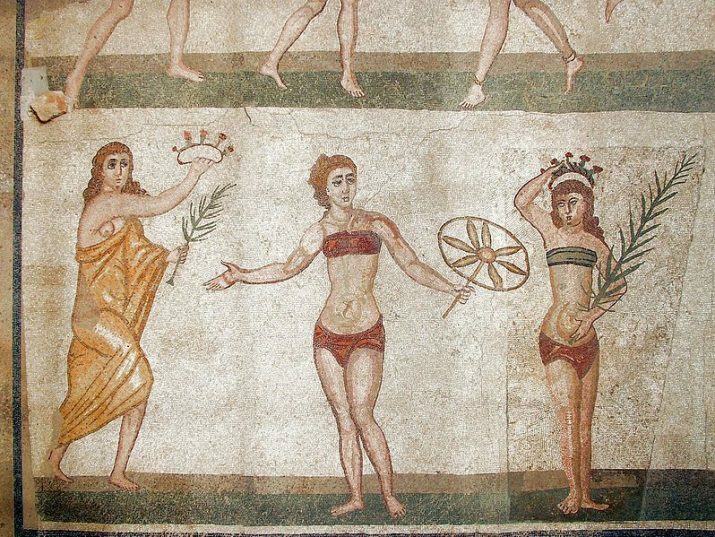 The North African provinces were in the economic and artistic forefront in the 4th century, and polychrome mosaics were one of the specialities of the North African artists. The mosaics at the Villa Romana del Casale are clearly African in origin, and mosaics very similar has been found in Cartage and other places in North Africa. Many of the motives of the mosaics are also African in nature, especially the hunting scenes. A substantial part of the tesserae, the small coloured stones, used in the mosaics are of African origin, so it seems the mosaicists have brought with them the colours they couldn’t find locally. Visit Piazza Amerina and enjoy a guided tour of this spectacular UNESCO World Heritage listed site on our Sicily Bella Tour – the best Sicily Tour on the market.